We deliver artfully composed plates, featuring the freshest local seafood. Our culinary team demonstrates their passion for seasonal seafood and local ingredients in every dish. Our chefs’ endless creativity will surely delight your culinary senses, while our knowledgeable wine director guides you through our extensive wine list featuring local and international selections. Enjoy the confident hospitality provided by our team as they deliver a high level of service to you and your guests. Ray's provides both private and semi-private dining options for your corporate or social events. Ray’s Catering is Seattle’s preferred caterer for a beautifully executed event! 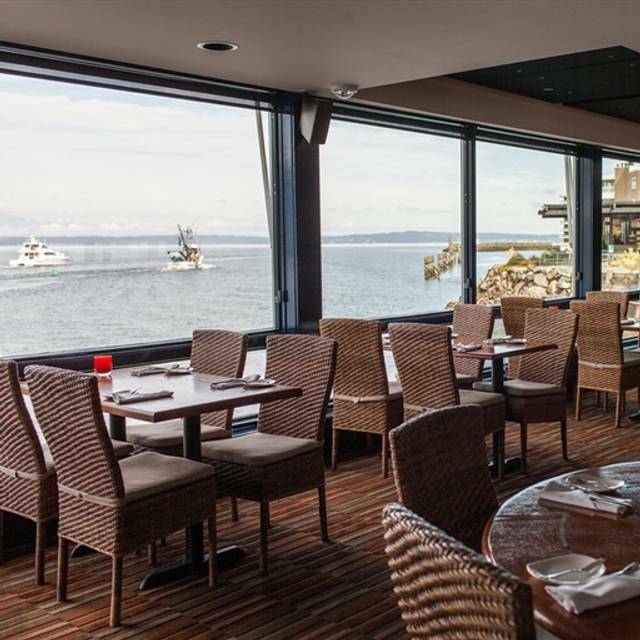 We provide full-service catering in our own waterfront banquet room (see Banquet Facilities below), as well as full-service off-premise catering for all size events from intimate gatherings and sailing receptions to extravagant corporate galas at Seattle’s premier event venues. From professional event planning and management to chef-designed menus and exceptionally polished service, Ray's makes your event both a pleasure to plan and attend! Please contact our team at (206) 789-6309 or email rayscatering@rays.com. There is street and private lot parking available as well as seasonal complimentary valet. The food was predictably good, but the restaurant was nearly empty on a Friday night. It was unsettling to be among so few other diners. We have spent two very special dinners at Ray's Boathouse, and particularly appreciate the high quality of healthy, local, artistically-conceived foods. The mashed potatoes with the wild coho salmon were savory and mouth-wateringly delicious; a simple American comfort food made dazzling. My husband and son's meals were equally delightful, with a slight Asian twist in the sauces of the sea scallops and pork belly. My only suggestion is to prepare gluten-free bread and crackers for the guests who need this to better digest (and therefore better enjoy) the great dishes that follow. The quiet ambience allows for focus on food, family and friends. It’s hard for me to imagine but it has been about 40 years since the last time we visited Ray’s Boat House. Back then, it was the .... “place to go for that special occasion”. I was entertaining some out of town in-laws the other day and since we were going to be at the Hiram Locks, I thought it would be interesting to see how Rays had withstood the Years. We made dinner reservations and off we went. I had forgotten how lovely the views are from this place. The restaurant has been updated over the years and had an appealing decor. The wine list is very extensive with many specialty wines if your budget allows. The menu was fun with numerous exotic choices. We all had something different so we were able to see numerous presentations which were pretty spectacular. I was actually tempted to photograph my food (god forbid). And the waitstaff was as good as it gets. Don’t you just love being served an elegant meal by a true professional? And lastly, it’s certainly not the cheapest place in town, but given the overall experience, pretty much worth the price. It was great to see that Ray’s Boat House has withstood the times. We enjoyed our dinner very much. The service and ambiance were wonderful. We found the menu to be fairly expensive for a week day dinner out so we will save our return trip for a special occasion. My husband specifically asked that the salmon be cooked rare and he felt that it had been overlooked—however, the piece was large and he had enough to take home for dinner the next night. The homemade pasta dish was excellent. We had an outstanding New Years Eve dinner! The service was stellar! John our waiter went above and beyond! Just a total superb experience! Service was excellent, food delicious (order the Sablefish! ), view beautiful even at night. Highly recommend. Fantastic food and outstanding service. Excellent service and food from the time we arrived until we left. Not worth returning and waiting. Appetizers and desserts , sides were excellent . We were told they were behind by 10 15 minutes when we arrived and to go to bar up or down until ready . After 25 minutes we checked ... hostess had text us, however was never told that. Overall decor needs an update . More attention to overall detail needed to support prices . Wonderful Christmas dinner! Even some choices, which is pretty unique when dining on a holiday. The food was fantastic, the drinks were so tasty and the dessert was perfection. Thank you to everyone working on the holiday! Your hostess working Christmas at 3:30 was fantastic and very accomodating. Much thanks! Seated 20 minutes late with a reservation. This from a restaurant that contacted me 3 separate times to confirm I was coming. Tried to get a drink from the bar while we waited but even with 3 people working the bar we stood there 15 minutes before anyone said hi. He gave us a glass of water and said someone would be back to take our drink order which didn't happen. The bar and hosting staff look stressed which is a downer to say the least. The food was only good and came out timely but I want to be wowed for a $200 dinner for 2. We were also charged 24 dollars for crabcake apps that never came and I didn't realize until after we left. The 12 dollar wilted Caesar tasted good but it was tiny. The tagliatelle was apportioned well but lacked flavor it mostly tasted like buttered noodles with some tiny flavored bits of mushroom and nuts underneath and some of the mushrooms were nearly raw. The scallops were cooked correctly but basic. They do have complimentary valet service but I didn't have cash for a tip and they said they had no way for me to get cash. Weird. I think they forget they are in the hospitality service. When people go out the most important thing is to have a good time. It's hard to do that when the staff are so dour. Plus instead of the 3 folks working the bar they should just find one happy bartender who can actually tend a busy bar. They are throwing away money with slow bar staff. I watched 3 people stand behind the bar while one made 1 drink, one was drying plates and the other was counting heads in the restaurant as multiple customers waited to put in an order. It was a busy Christmas eve but hire more staff for the night or take less reservations. They've been in business long enough to do better than this. Disappointed on a night I was looking forward to. The company at my table was enjoyable. Just wish I had picked a different restaurant. This was an awful experience from start to finish. The entire restaurant was chaotic, our table was ready around 40 mins after the time we booked, the menu was limited (to make meals easier to prepare during the busy Christmas period), the food was below average, and the service wasn’t particularly impressive either. The worst part was being seated close to a family in the middle of a political rant, dropping f-bombs and clearly upsetting a number of tables. The staff made no attempt to resolve the situation, but were clearly aware. I’d never return - Seattle has some of the best seafood restaurants in the US, and I wouldn’t put this one in the top 100. The appetizers and desserts were outstanding. The main course, halibut, was on the small side and was a bit tough. It was served with french fries, which I thought was strange, for a nicer restaurant. Unfortunately the main course took an extremely long time to reach our table and our water glasses were empty more than once before being refilled. I guess I'm used to having the water glasses never empty when we go out to a nicer restaurant. Tasty dinner and great service, as always. And we saw a seal! The menu was a little limited. What we had was great just would of liked a few more choices and a little cheaper choices. Everything was outstanding. The staff, food and ambiance were terrific. I would go back in a heartbeat!!! Seems like a place that used to be great but now lives on its reputation. A table in the venter of the restaurant was filled with little kids yelling and running around but the manager would not even talk to the parents. What’s crazy is there is an upstairs dining area that is caused like and more accommodating for kids. The food, service, and atmosphere were wonderful. A less busy Sunday night helped as well. Although I really enjoyed myself, I found the food was very overpriced, so I wouldn't recommend Ray's to just anybody. Very disappointing. Used to be a great basic seafood restaurant. Basic flavors of fish and clams preserved and enhanced. Now, clams were in a milky broth that dominated and eliminated seafood taste. Same with slightly overcooked monkfish. A fru fru bacon sauce totally dominated taste. Prices are outrageous. Seattle has access to finest fish and shellfish in world and Ray's needs to go back to preparing it naturally. Would not recommend restaurant with its present very limited menu. The food and service were exceptional. Our server, Alex, was very attentive and helpful. The prices are high, but it was worth it! My friend said it the crab legs were the best she's ever had. Scallops were amazing, and the crab cakes devine! They need to offer a chocolate dessert though! The restaurant was quiet the night after Thanksgiving. Food and service were great. A lovely evening all around. We came for their Thanksgiving meal (downstairs restaurant with 3 prix fie plated courses) and were really disappointed. Seafood is probably their specialty and we would come back to try that sometime. Lovely ambiance and terrific service. Starters of parsnip soup and crab cocktail were both very good. Main courses were forgettable. Prime rib was well cooked but under seasoned and really needed S/P or, better yet, horseradish. Turkey (one slice each dark and white meat) was dry, overcooked. Gravy might have been canned. Both dishes were served with mashed potatoes (serviceable) and green beans (ok). Brussel sprouts alongside prime rib were mushy and overcooked; glazed carrots alongside the turkey were the best thing on that plate. We took dessert to-go: the flourless chocolate cake was dry and forgettable. Overall, we were underwhelmed and didn't appreciate spending $160 (2 prix fie menus plus 3 glasses of wine) on a menu that didn't speak to the restaurant's strengths, which is surely seafood and not traditional Thanksgiving. Enjoyed dinner at Ray’s downstairs dining room on Thanksgiving Day. We have previously eaten upstairs at the Thanksgiving Day buffet but have recently been disappointed in the buffet. This Thanksgiving we enjoyed the both the food and calmer, more pleasant atmosphere downstairs. Service was terrible and it was not busy. Took 25 minutes for drinks, had to ask for bread and plates were sitting waiting to be cleared throughout meal. Also the waiter said the crab legs were precut and would involve little work. They are barely cut and the price you would expect them to be halved. Disappointing experience in general. Spend your $200 somewhere else. 1. It took a very long time to find parking in the lot, and the valet service was not available. 2. The host who seated us was chewing gum, which I find to be unprofessional and irritating. To me, it's no different than if she was scarfing down a muffin. 3. We were unfortunately seated between two loud tables, which made it hard for us to hear one another. 4. The service was rather slow, especially when it came time to get the check. 5. Our food did not come as ordered. They had put whole anchovies on my Caesar salad, which I hate and ruined its taste, and my friend's King Salmon arrived without the mashed potatoes as described on the menu (and the server did not offer an explanation as to why). My friend did say that his salmon was cooked perfectly. If I were to visit again, I would probably try to steer clear of the weekend and go at a slower time when the staff is better able to handle the business. Always an amazing experience. 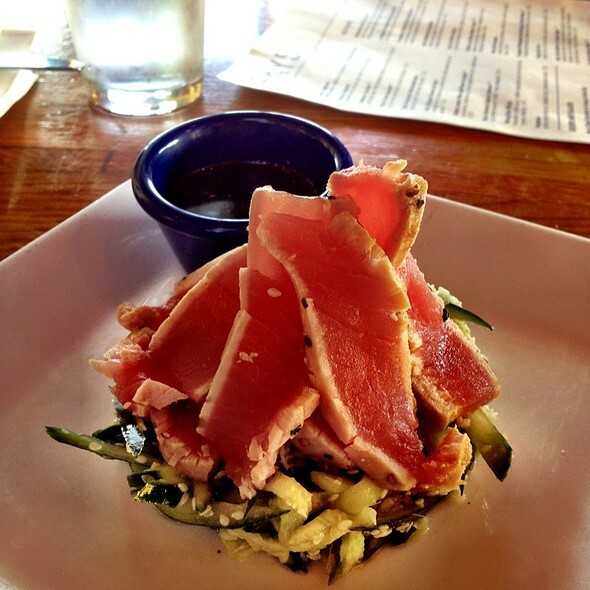 We look forward to our next culinary adventure to Rays! 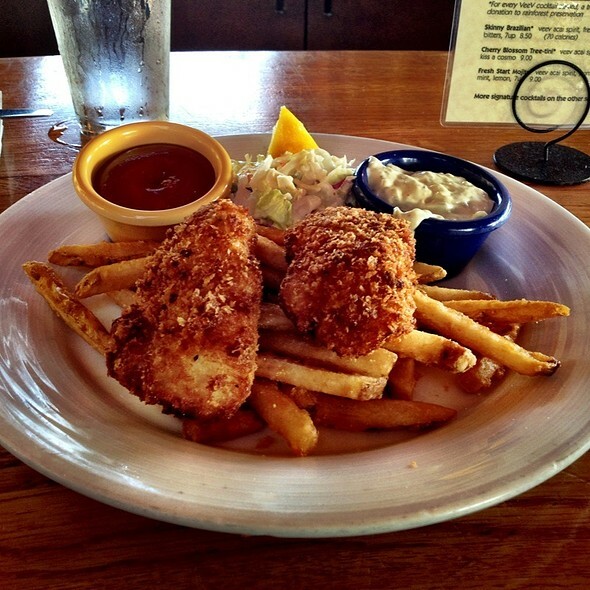 Glad we picked Ray’s for great seafood. The King Crab legs were out of this world. Worth the drive from downtown Seattle. I brought my wife here for our anniversary and had a great time. The service couldn't have been better; our server was attentive, knowledgeable about the menu, and friendly. The staff recognized that it was our anniversary and included a nice note for our table. All the food was top notch. I highly recommend Ray's for a special occasion or an upscale dinner. The food was good and was presented very well. The service was very good and our waiter was very personable. First time dining at Ray's and had a great time. Food, service both outstanding. Look forward to my next visit. Thanks!